With Summer a thing of the past, moving into these Autumn months does not mean its time to give up on that beautiful looking, glowing skin. 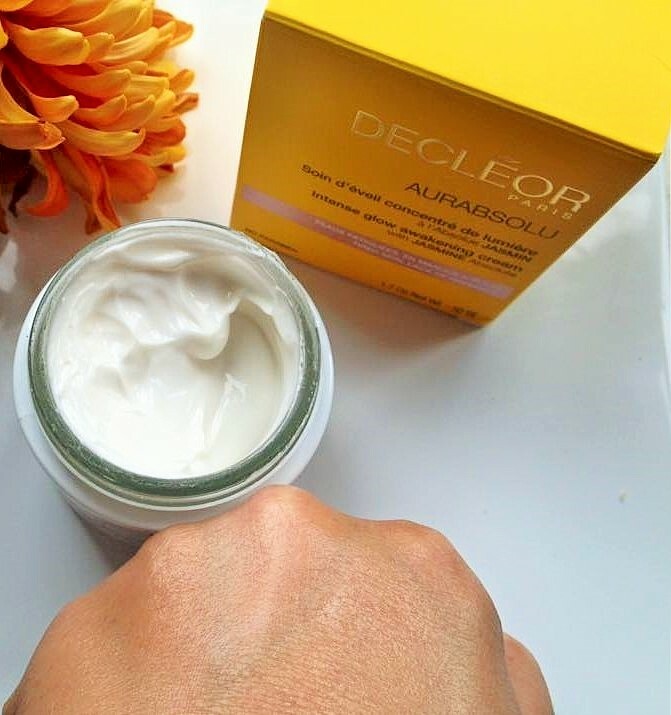 Decleor have recently released their new collection Aurabsolu which contains Jasmine Absolute which awakens the skin and brings about a natural, healthy, radiance. The new kid on the block in this collection is *AURABSOLU Intense Glow Awakening Cream with Jasmine Absolute. Over the past few weeks i have been lucky enough to use this gorgeous cream. If you suffer from tired looking skin, skin that actually looks sleep deprived and sluggish, then this could be for you. 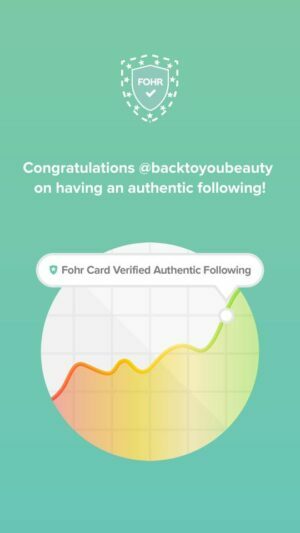 If you have fine lines and you can notice wrinkles then this could be a big help. Regular readers of my Blog will know I am always sleep deprived, its just how my body clock works, i also take lots of different medications. As i have mentioned before, if i do not stay on top of a great skincare routine, i very quickly look washed out, pasty and just bleuurggghhh. 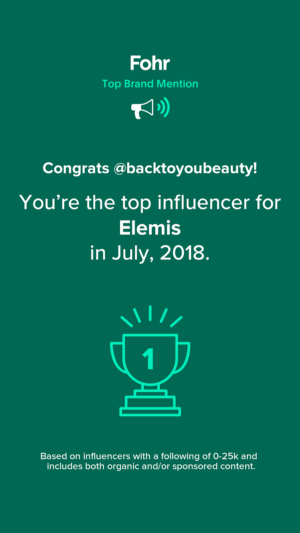 This is why i was excited to try this product. Now, as i mentioned in my previous AURABSOLU Blog here, the smell of these products with the Jasmine Absolute is just divine, Personally i never have a problem with scented skincare, i think the smell is so delicate and uplifting, that it is such a pleasure to use. However,if you are unsure about scented products maybe this is not for you. 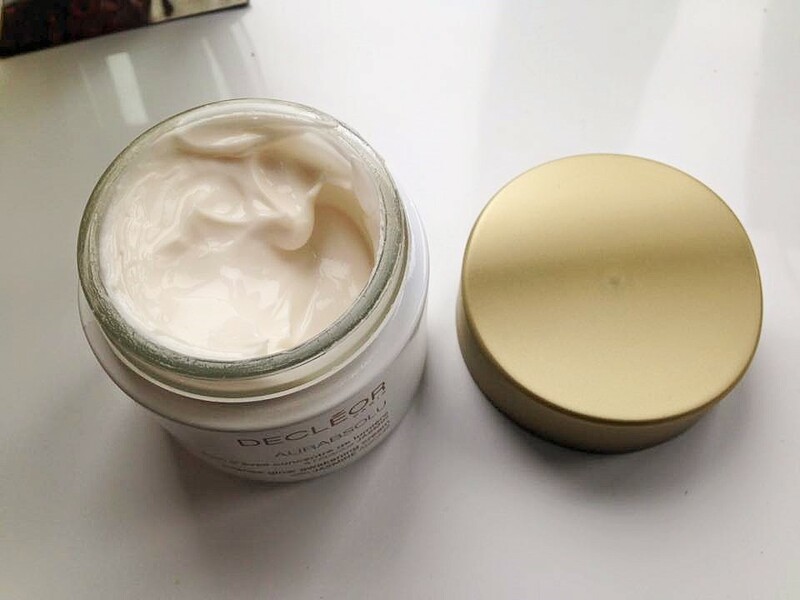 Decleor only use the most pure ingredient’s in their products. The jasmine Absolute is harvested by hand, at sunrise so it is at its ‘absolute’ best. The texture of this cream is beautiful and on my dry skin easily sinks in. For such a lightweight cream i was pleasantly surprised at how hydrating it really was. I applied this every morning after cleansing, onto face, neck and decollete. 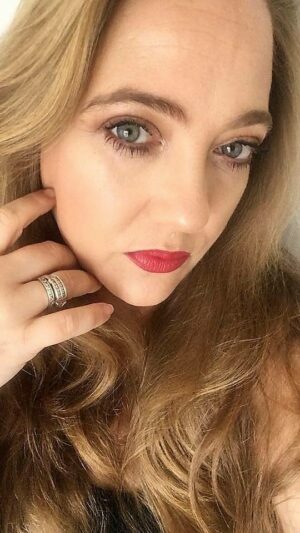 Immediately my skin felt hydrated, plumper and had a gorgeous clarity and glow about it that lasted all day. You know your own skin and if you know that the changing of seasons, leads to a change in your skin then maybe it is time to step up a gear and try this product. 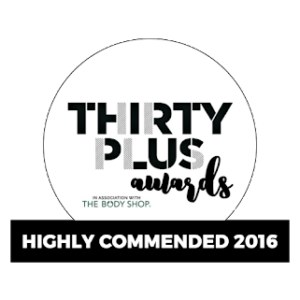 If tired, dull, sluggish looking skin really is a problem for you then this really aims to deliver. I think this is perfect time of year for this product, coming into those busy christmas months i want to be glowing and not looking shattered hahaha. 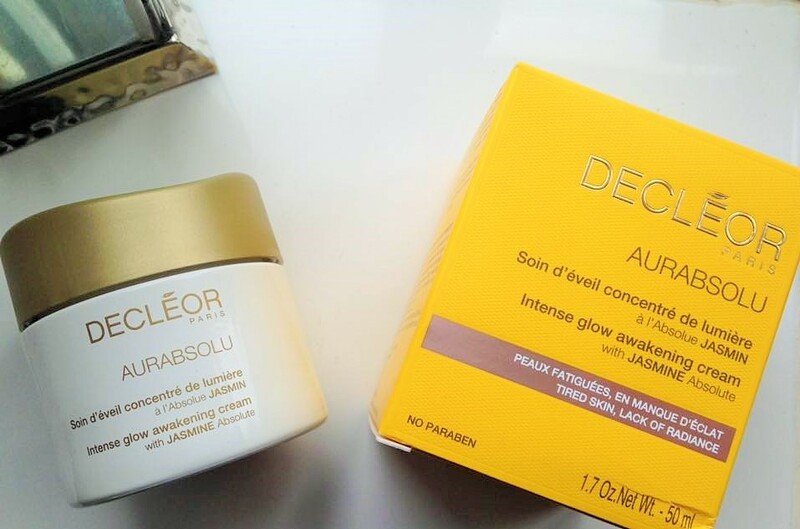 The perfect addition to the rest of Decleor’s AURABSOLU range.